Lessons from High Alpha that go beyond building products. 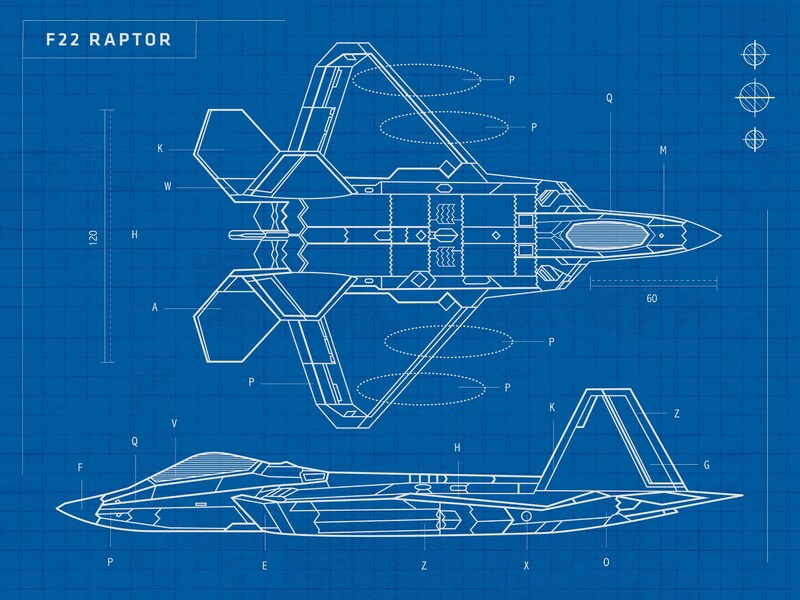 Office Artwork I created for High Alpha’s conference room, Raptor. Over the last four years, High Alpha has pioneered the venture studio model and continued to help put Indiana on the map of the tech landscape. In addition to acquiring the hard skills of how to build companies, High Alpha has also instilled specific soft skills about leadership, success, and collaboration—of which I believe to be at the root of our achievements. Much like a startup itself, the early days of High Alpha were full of uncertainty and unexpected situations (such as a local news outlet deciding to preemptively publish an article about our launch before we were ready, causing us to stay up all night building our first website), but also full of excitement and enthusiasm for investing in midwest tech. We had to learn quickly and make fast decisions as we started to define how High Alpha would create new companies while being a new company ourselves. (Left) Partners & team up late on the night before our website launch, (Center) The High Alpha Team & grandfathered in companies celebrating our launch, (Right) The team at the first Sprint Week where Zylo & ClearScholar were started. Over the last four years, we’ve learned a lot. We’ve learned how to launch and scale 15 software companies and attract and retain 350+ employees across those companies. We’ve learned how to run world-class events with diverse guests like MC Hammer, Sarah Lacy, Aaron Levie, and Dawes, as well as how to show up within the changing tech landscape with initiatives like our Women’s Leadership Group, Blue Angels, and legislative efforts like Bill 257 which exempts sales tax for SaaS companies. We have also learned a lot from each other. We work in a new space of venture capital and startup creation, venture studios, where rules and roles have never been defined. Through experience and pure grit, our team of highly-ambitious industry experts has had the privilege of defining what it takes to launch, scale, and invest in startup SaaS companies. We expect everyone to work at a high bar while continually valuing a culture of collaboration, innovation, and friendship. I already know that the people I’ve worked with over the last four years will forever be the folks I will trust and tap first for any future project I may be a part of. (Left) Mark & I celebrating at the Sigstr launch party after a late night of final product touches. (Center) Some of the portfolio company designers after a holiday swag exchange. (Right) The High Alpha team posing for our Investor of the Year Mira Award. Take time to recognize success & failures. 💖 1. Demonstrate generosity and grace. In an environment where we could easily be very secretive and cutthroat, we instead choose to demonstrate generosity and grace, and I have witnessed the impact it can have. We are constantly opening up our space to traveling guests, community events and participating in countless panel discussions and tech events. We often go out of our way to make people feel welcome in Indy and at our events with gifts and special introductions. We choose to be generous with our space, knowledge, and time because we believe in the power of creating personal relationships. It’s relationships that help us recruit talent, source ideas, and create a network. We also understand that relationships take effort and are full of human flaws. Approaching every relationship with grace helps to develop a deeper understanding of one another and cultivates an environment of trust. This applies to internal relationships as much as external. 🥇 2. Seek out authentic leadership. Working with talented people is one thing, but there is nothing more motivating or palpable than working with an authentic leader—someone who is true to themselves and the path they are leading people down. This applies to leaders at all levels and disciplines—the CEO isn’t the only person who leads. There is also nothing more toxic to a team than a leader who isn’t genuine with their actions. We’re constantly looking for authentic leaders to join our companies who believe in the mission and are excited to turn it into reality. When the person leading you is an example of what’s possible, they inspire and bring out the best in you. When they are not, energy is lost and ambition will be absent. No matter the project—from building a company to hosting an event—working with authentic leaders motivates everyone to do their best work. 🗣 3. Use Design as a megaphone, not a secret weapon. I’ve watched the design industry transform from people saying “wow, you have a designer on your team?” to “who’s leading your design team?”. It’s no longer an option to just have a nicely designed website and think it’s going to set your company apart. Instead, what makes the difference is how you showcase that design which plays a key role in driving your company . Design should be so core to what’s happening with your business that it’s obvious from the outside looking in. Design is reflected within each of our companies through product, messaging, events, customer experience, and employee experience. We make sure that everything — business cards, product strategy, sales decks, team members, etc. — for that company is thoughtfully considered from day 1. 🙋🏼‍♀️ 4. Cultivate collaboration & ambition. By the nature of running a venture studio, priorities and processes are constantly changing and people are often stretched in areas outside their “job description.” You have to be willing to help in all areas, but at the same time define what domain everyone should lean on you for. When this is working smoothly, a culture of collaboration thrives. Some of our most successful achievements have been the result of the whole team exemplifying their strengths while also being willing to do the grunt work of someone else. Often, the team at High Alpha will say that the best thing about working here is being a part of a highly ambitious and talented team. Ambition is cultivated because we all motivate each other to be their very best, to look for opportunities, and to present solutions. I’ve learned a lot from my colleagues who consistently show up as mentors, go-to-experts, and hard-working role models. ⚠️ 5. Take time to recognize success & failures. When you are constantly running at 100MPH and you’re a part of a high-achieving team, it’s really easy to just knock stuff out and not look back. However, that also makes people crash and burn or experience extreme highs and lows. It’s really important to use success and failures as a forcing function to recognize hard work and understand what to improve on. Taking time to reflect will keep a team motivated and engaged as you move into the next phase. Additionally, personally celebrating the goals you've accomplished will prevent you from feeling as if everything you worked on was a big blur. 👚[ Bonus ] People love t-shirts. Additionally, we have learned how much people love t-shirts. High Alpha has created tons of t-shirts over the years as a way to celebrate companies, events, or new babies. There isn’t a faster way to receive a smile or make a new friend than by handing someone a freshly-designed, soft t-shirt. Kolby is a Senior Designer at High Alpha and the President of AIGA Indianapolis. Say hi on Twitter. Thanks to Paige Haefer and Drew Beechler. Trying to make a positive impact on the world through design.